Narrators are extremely important in games that don’t know how to progress their story. With the ability to tell rather than show, you can progress any story pretty easily without much effort. Some games can get really creative with it though, titles like The Stanley Parable do this really effectively where disobeying the guiding hand leads to expertly crafted humorous responses and other interesting encounters. The problem is, there -has- to be a payoff. Without payoff when you build up jokes like the ones in ICEY, they just come across as rude, or insensitive. The question is, does it break the game’s immersion? An AI, ICEY hangs suspended, alone in a tank somewhere hidden in the chambers of a large lab. She attempts an escape, and seems to be successful, until she encounters Judas, another AI that attacks her on sight. Just when you think you stopped Judas and attempt to leave, Judas returns and destroys the bridge you fought him on, killing ICEY in the process. You’re lucky though, as an AI, you get to restore yourself. This time however, you also load in a narrator to go with your adventure, who will accompany you on your quest to get retribution and destroy Judas. The narrator will force you to play through the story experience leading up to fighting your enemy… or does he? 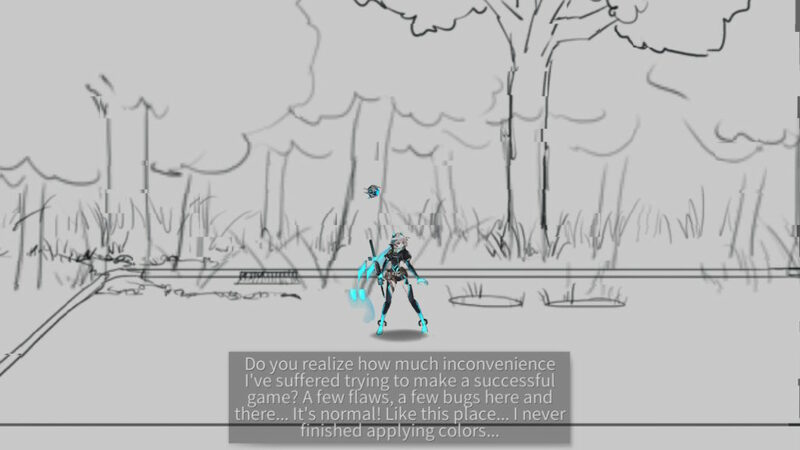 One part of ICEY’s story experience is that you can ignore the narrator, and forge your own path. There are multiple points in the game where you get to go off script so to speak, and the narrator just has to deal with it. When you do so, you’ll find some useful cash, and some interesting small sub-plots, like the (fictional) stories of the game’s developers quitting their job or attacking the narrator’s wife (which is one of the weirder ones, why would they attack the narrator’s wife if he’s not the director of the game? Ah well, let’s roll with it). ICEY sports futuristic designs with floating bridges and hovering check points. The game is centered around a bright Americanized manga/anime style, which separates the foreground items, and fades the background a little. This makes it pretty easy to distinguish enemies from the scenery and makes the attacks you’ll be chaining off pop, making them feel visually distinct, and letting the player feel powerful. The game also features a good variety of interesting settings and backdrops, ranging from an old theater, forests, obligatory sewer levels, and the previously mentioned factories. Enemies are also an interesting selection, with a wild assortment of both large, hulking boss creatures, and agile little flyer and annoying boxing types of enemies. The narrator is one of the most important things guiding you through the levels, and you’ll hear him pretty much in every screen. The English speaking narrator sounds quite good, though dry in most parts of the game even when full on screaming at the player. We unfortunately don’t have enough experience in Mandarin based languages to tell if this is the same for the Chinese and Japanese speakers. 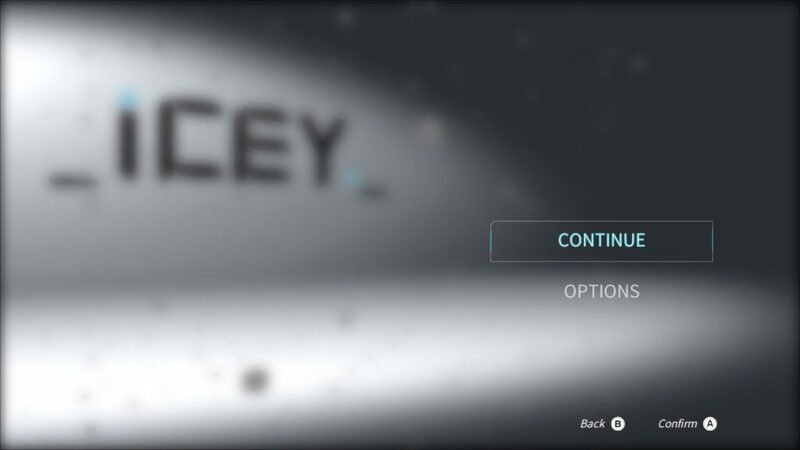 As mentioned before, you can actively decide to not follow the narrator and the story content to explore, upon which time the narrator will scold you, and once you reach the end of the side branch the narrator will tell you off one last time before resetting you to the beginning of that level. One of the weirder parts is for an achievement where the narrator will inexplicably hum the wedding march without being prompted. As with the visual style of the game, the sound design of the attacks makes the player feel powerful, with satisfying pings of metal to metal when you hit the enemies. Beat-’em ups are usually quite straightforward, and this is certainly the case with ICEY, you walk straight, and you hack and slash your way through the enemies that spawn on every screen. The levels are also quite routine, with the places that you can deviate from the path quite well telegraphed. Common enemies don’t feel that powerful, but can be a little bit annoying if you’re in the zone and they break your longer combos, while bosses are impressive set pieces that allow players to learn the boss’ attack patterns and then fight around and against them. Killing enemies earns you gold, which you can spend on different new attack combos, or upgrades to your health, recovery rate, shield, and other useful stats. Regardless of its shortcomings, taking ICEY as just a straight up hack & slash, or beat-’em up game can still bring a lot of fun and stress relief. As mentioned, you feel powerful, especially on the easier game difficulty, you get to just wail on the enemies, while still offering some nice opportunities for tactics with a well placed dodge, dash, or counterattack. The narration may break immersion, with its dry delivery and odd moments, but it doesn’t detract from the gameplay as most of the narration is in places where there isn’t any combat. 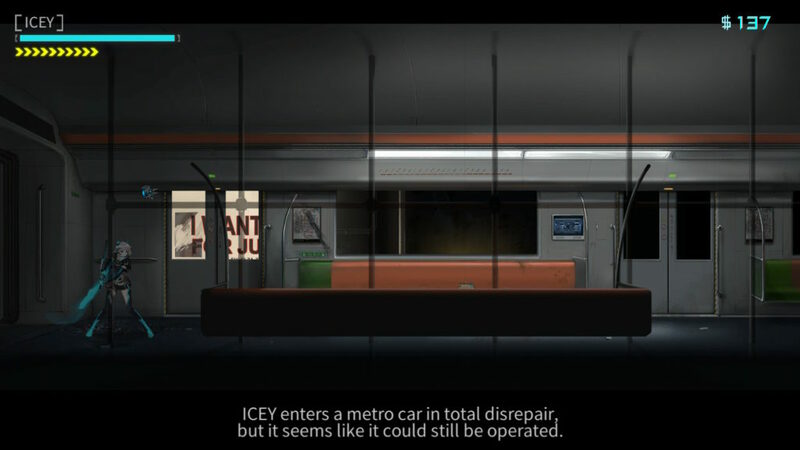 ICEY is enjoyable, especially if you’re looking for a casual experience, or if you’re not sure if this genre of game is for you.